When thinking about anti aging treatments, people tend to focus on their face, which may cause them to forget to treat other important signs of aging – namely their neck and hands. As we age, the neck experiences similar aging process as face, developing lines, wrinkles, discolorations, pigmentation changes and sagging skin. 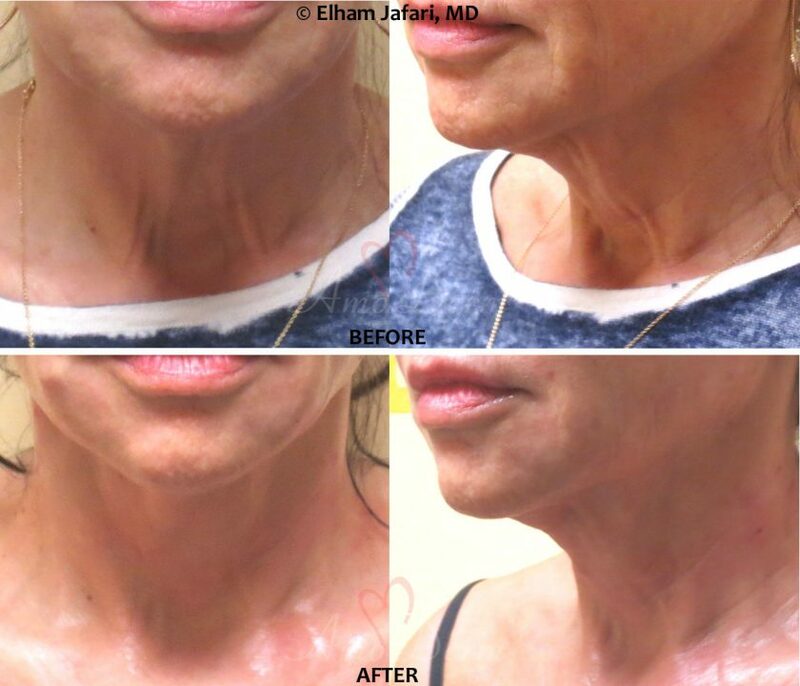 While neck cosmetic surgery might be needed at advanced levels of aging, various non-surgical treatment options are available to reduce the appearance of lines and wrinkles, remove neck bands, volumize and restore the lost volume, and perform other aspects of non-surgical neck lift. Like the face, exposure to sun and photoaging plays an important role in neck aging and continuous protection of neck against the harmful UV rays of sun is of paramount importance in preventing and delaying the aging of neck and reducing the risk of skin cancer. So make sure to get into habit of applying a generous layer of broad-spectrum SPF30+ sunscreen on your neck, whenever doing so for your face, and repeat it several times a day. Check out Amoderm Oil-free Moisturizing Sun Screen (SPF 30) and Anti-photoaging Moisturizing Sun Screen (SPF 50) as great options. – Diamond Microdermabrasion works through mechanical exfoliation of the skin, and as it removes superficial dead layers of skin and helps being out the fresh deeper layers, it can greatly reduce the appearance of fine lines, discolorations and pigmentation changes. A monthly treatment plan is a sure bet to maintain the skin and keep it as fresh-looking as it can. – IPL (Photofacial) is a great treatment option to give a boost to natural production of collagen in the skin, reducing lines and wrinkles. It can also help greatly with pigmentation changes and discoloration. While improvements are usually noticeable from the first treatment, a series of treatment is recommended for best results. – Fractional CO2 Laser treatment is a great rejuvenating laser treatment that can help greatly with improving the tone and texture of the skin and reducing lines and wrinkles. It can also help with tightening skin, while the effect on skin discoloration and pigmentation changes is usually less pronounced. 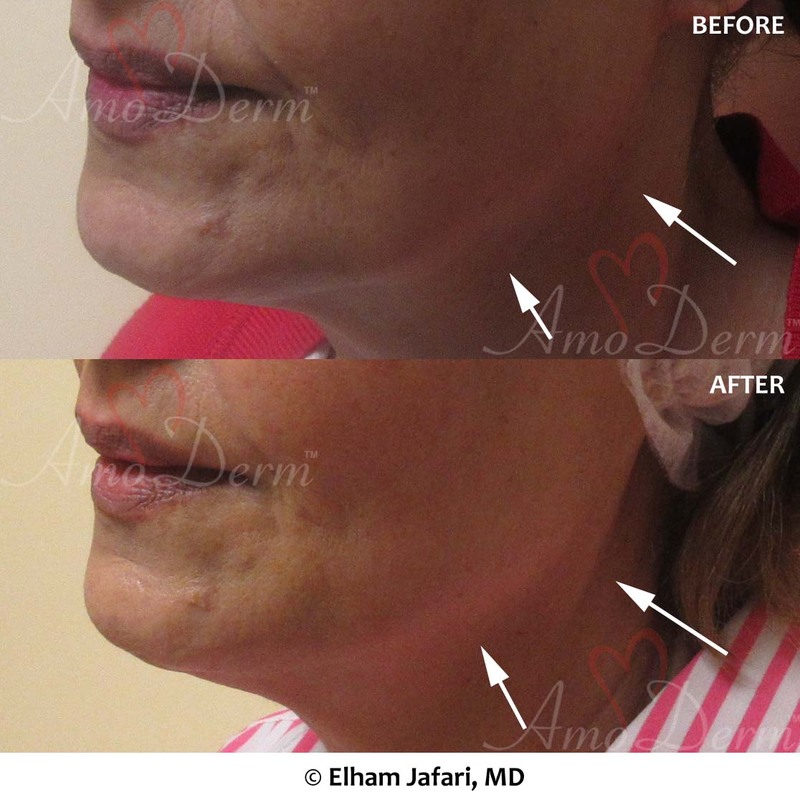 – Erbium Laser Skin Resurfacing is another great rejuvenating laser treatment that can address the lines and wrinkles as well as the discolorations and pigmentation changes. 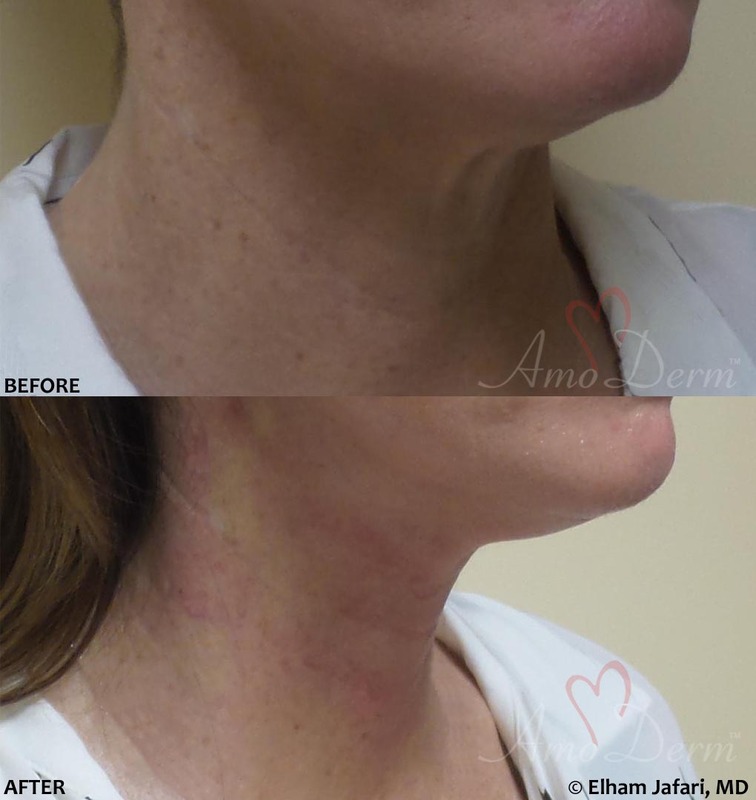 – Venus Freeze Radiofrequency treatment is highly effective for tightening the skin and it works greatly on neck. Venus Freeze delivers combined radiofrequency and magnetic pulse treatments, which stimulate the skin cells to make more collagen and help with reducing lines and wrinkles. 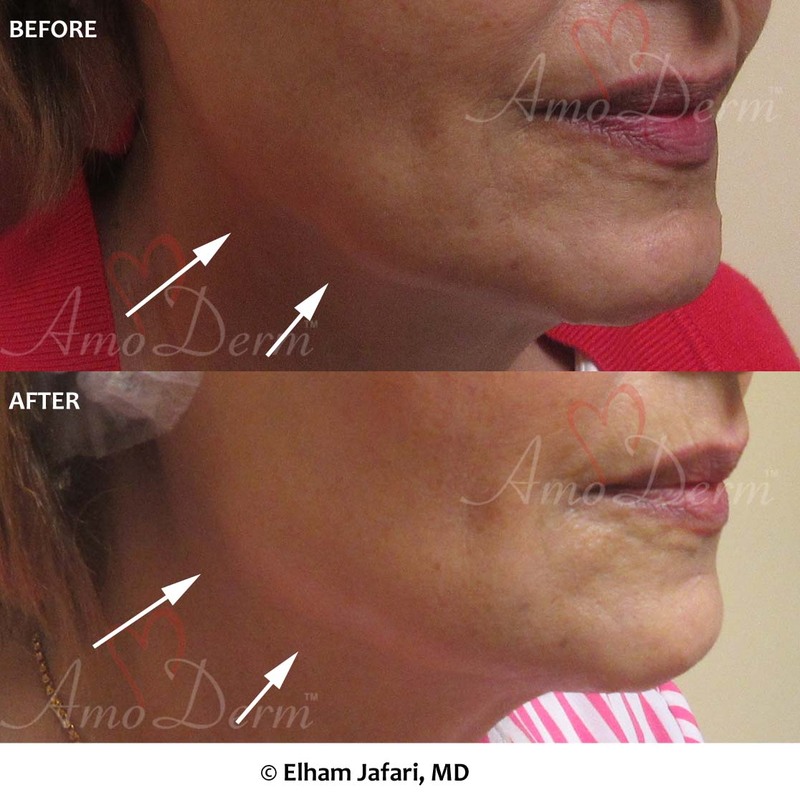 The result can be a non-surgical neck lift. – For deeper lines and wrinkles on neck, dermal fillers can be used to restore the volume under the skin and make the skin smooth and plumb. Belotero Balance is particularly effective and useful for neck treatment. 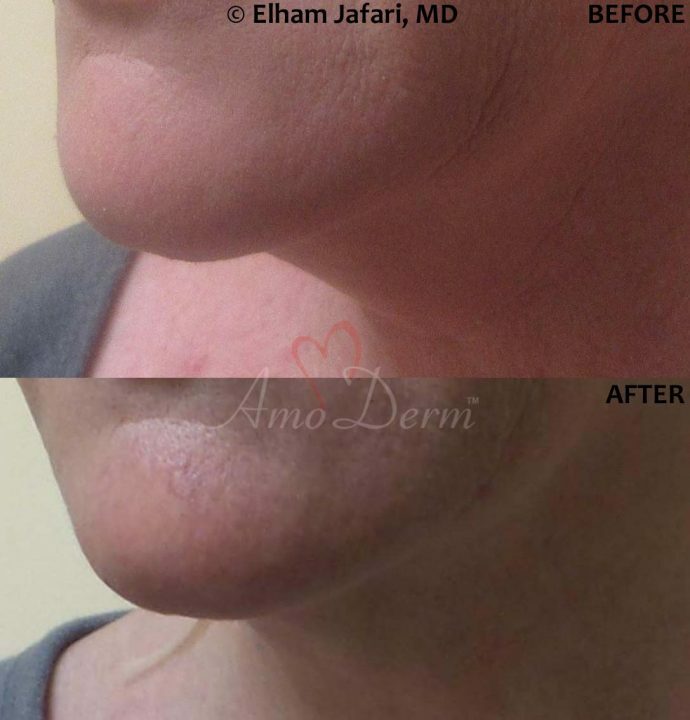 Thanks to its thin consistency, Belotero spreads more uniformly under the skin once injected, and can have a generalized volumizing effect in neck, smoothing out lines, folds and wrinkles in neck. – Last but not least, a great part of the aging process in the neck is the result of continuous contractions of neck muscles, especially the superficial platysma muscle which covers great areas in the front side of the neck. Contraction of this muscle shows as neck bands or platysmal bands which can contribute to a more aged appearance of neck. Botox and Dysport injections can be used effectively to relaxed this muscle and reduce the appearance of neck (platysmal) bands. 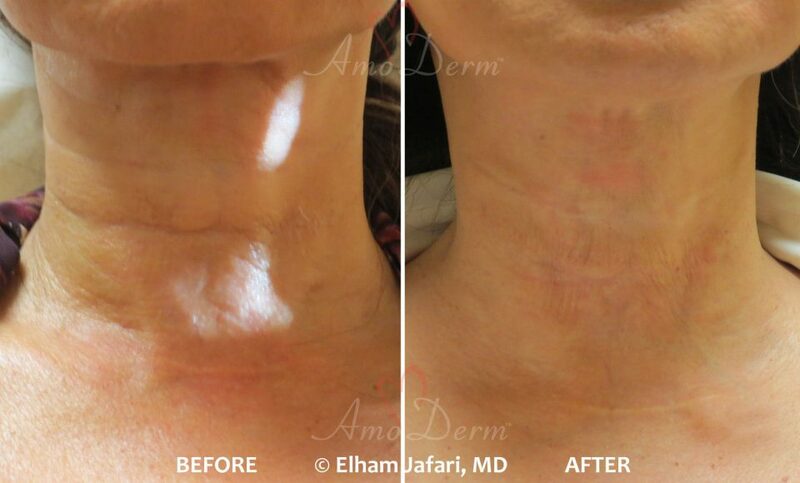 Contact Amoderm today and schedule a complimentary consultation to learn more about these and other treatment options to rejuvenate your neck and reverse years of aging!